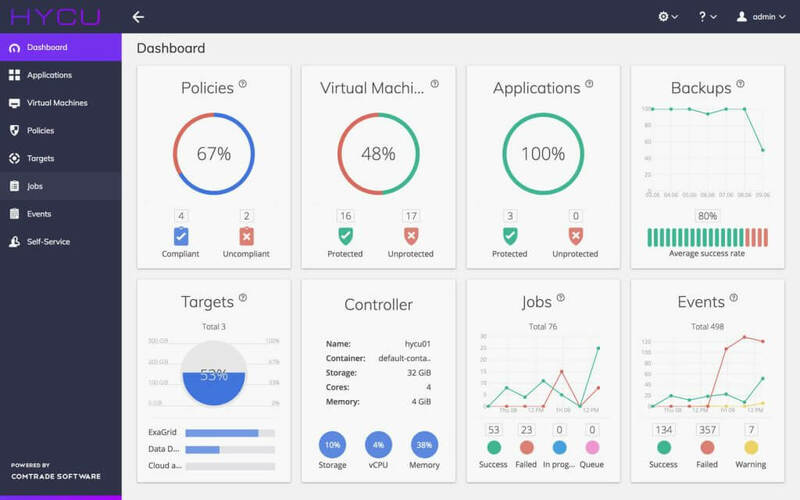 Comtrade Software, a leading provider of monitoring and data protection solutions for hyperconverged infrastructures, has unveiled HYCU, the first purpose-built data protection solution for the Nutanix Enterprise Cloud Platform. HYCU deploys in less than three minutes and provides a solution that auto-detects applications running in virtual machines (VM) and makes them transparent to the infrastructure teams. With this new level of visibility, HYCU makes sure that no critical applications are left unprotected –a key challenge for enterprises embracing cloud and HCI architectures in their modern data centers. ComTrade tapped into 25 years of expertise to bring you surprisingly simple, fully reliable application and data protection for Nutanix. Our patent-pending Application-Awareness technology sees through VMs to detect the applications, and completely protects them and your mission-critical data. We empower your application administrator with our self-service portal, and give you the freedom to choose the hypervisor you want. And with native integration, even deployment is a snap. 100% automated and focused for greater application transparency. With a patent-pending Application-Awareness technology, HYCU is the industry’s only automated application discovery solution that provides newfound visibility into VMs, pinpointing where each application is running. HYCU also creates application specific recovery workflows so IT administrators are easily able to backup applications with a single click and an automated self-service portal enables business users to easily manage their own data. To learn more about HYCU and how Comtrade Software continues to build industry-leading enterprise software, visit comtradesoftware.com, follow @ComtradeSoftw and connect with the company on LinkedIn. Visit the Comtrade Software booth #S15 at the Nutanix .NEXT Conference 2017 in Washington D.C., from June 28-30.